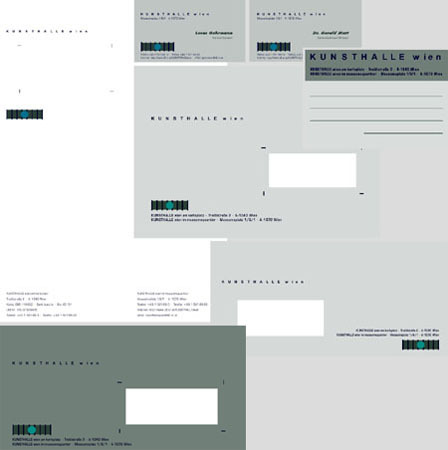 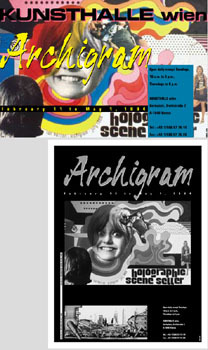 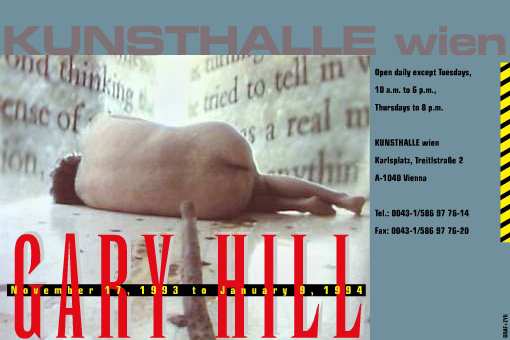 In 1992, we developed the corporate design for the KUNSTHALLE wien – going from the logo that is still in use today, to the complete package of printed matter, adress and loan databases, admission tickets, parking tickets, banners, totes, stickers, press kits, labels and many other things. 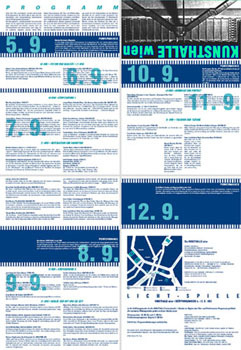 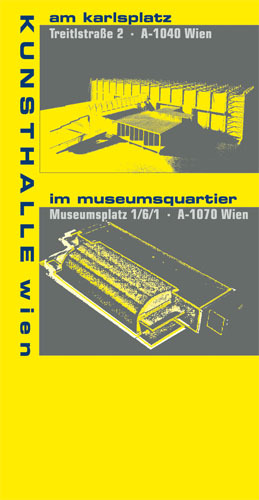 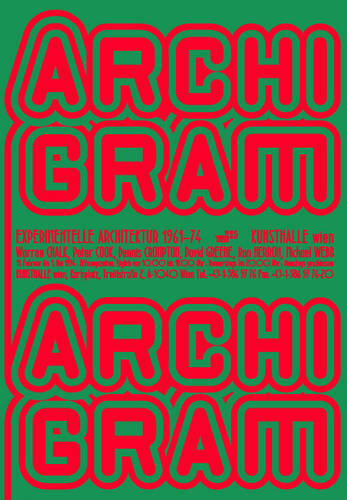 Between 1992 and 1999 we excerted a regular influence on the graphical appearance of the KUNSTHALLE wien at the Karlsplatz and in the Museumsquartier through the continued support and development of the corporate design: e.g. 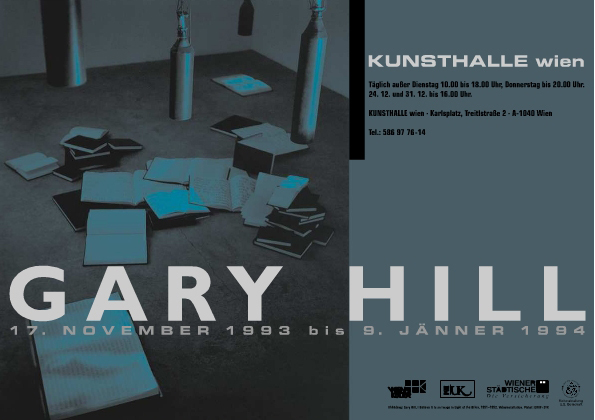 with books, a biannual folder series, invitation cards, exhibition booklets, posters, and advertisements in international art publications.